Please see CORRECT age definitions. WACO Clinic dates for 2018 have been announced! Visit our Club calendar page for more details! WACO tryout dates for the 2018-2019 have been announced! Visit our Club Calendar page for more details! Washington County Junior Girls' Volleyball Club, Inc. (aka WACO) is a not-for profit organization for Hagerstown, MD, Washington County, MD and other tri-state-area volleyball enthusiasts including student-athletes, coaches, referees, adult helpers and parents. Washington County Junior Girls' Volleyball Club, Inc. is managed through the combined efforts of members of the coaching staff and interested parents who serve on the Executive Board and in other volunteer capacities. WACO is home to five Open Regional Championships. Our mission for experienced players is to improve the player's skills and knowledge of the game through competition that far surpasses the level of high school play in our area and to instill values of team play, individual discipline and work habits which will serve them well in any future endeavor. Our mission for new and inexperienced players is developmentally based - to teach fundamental volleyball skills, to encourage interest and enthusiasm for the sport and to instill values of individual discipline and team play.  Please explore the website for any information you are looking for, to include tryout information, coaches, teams and policies. Should you have any additional questions, please use the Contact Us page. Thanks for visiting the WACO Juniors website!